Twin Leaf Gloves are perfect for that slightly nippy Fall or Early Spring day when you just can’t quite keep your hands warm without a little help! Dainty and elegant while keeping you cozy with that extra boost of warmth, the Twin Leaf Gloves can be worn indoors or out. 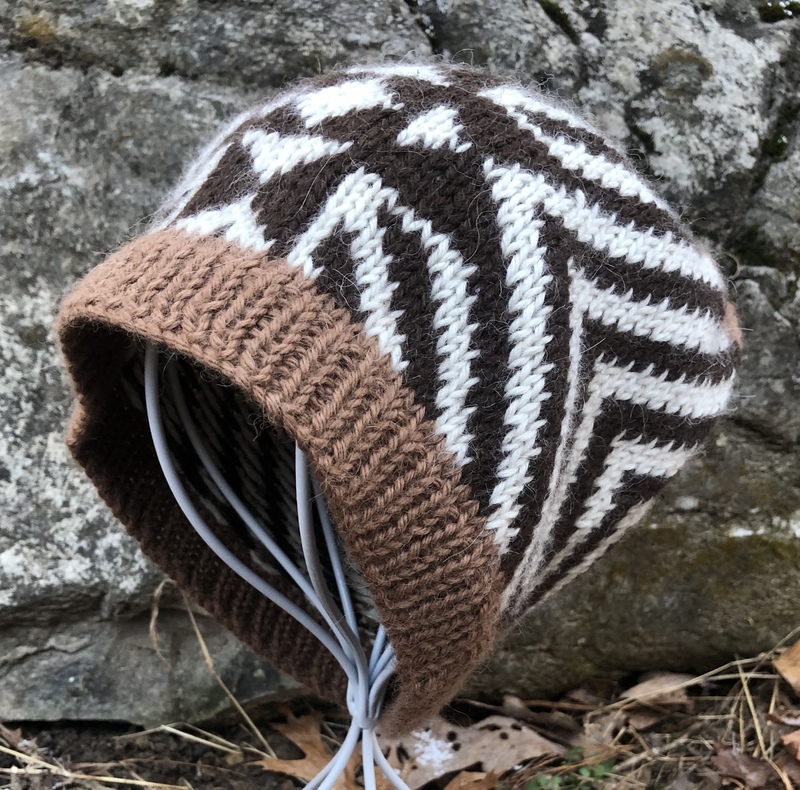 Knit in the round on double-pointed needles, they are an engaging but quick knit with just enough lacework to keep you focused. And since they require less than 1 skein of yarn per pair, they are perfect for stash-busting and gift knitting! You’ll find yourself wanting to make a pair for every friend! Behind the Scenes! Read the story of the creation of my Twin Leaf Gloves pattern on my Blog, here. Click here to read the story behind the creation of the Twin Leaf Gloves pattern! Designed to fit closely with 0.5” to 1” negative ease, the Twin Leaf Gloves are sized for women’s hands in small (medium, and large). To determine the appropriate size, measure around the knuckles of the dominant hand and choose a size with a hand circumference (see Finished Measurements below) 0.5” to 1” smaller than your measurement. Madelinetosh Tosh Merino Light (100% merino wool, 420yds/384m), 1 skein. The sample is shown in the “Celedon” colorway and knit in size medium. You’ll need approximately 138 (146, 163)yds/126 (134, 149)m of yarn to knit a pair of gloves. DPNs in appropriate size as follows, or in size needed to obtain gauge. Two stitch markers, four 6”/15.2cm long pieces of waste yarn or small stitch holders, and a yarn needle.